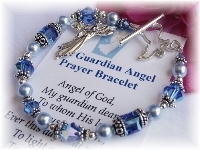 May the Guardian Angel�necklace, based on the well known prayer,�be a reminder of the presence of our constant heavenly companion. This beautiful solid sterling silver Guardian Angel medallion on 16" sterling silver chain (18", 20" and 24" lengths also available below) is designed to be worn as a constant reminder of the presence of our constant heavenly companion. 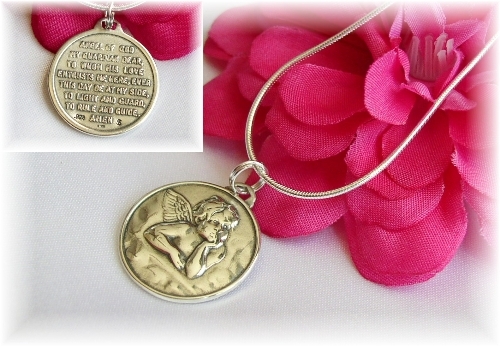 Intricately stamped with angel on one side, and the Guardian Angel prayer stamped on the backside. (see "More Images" above for detailed images) Medallion measures approximately 7/8" in diameter. 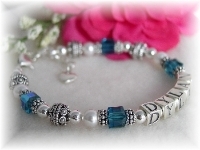 A beautiful gift for someone special. 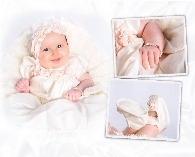 Includes gift card with Guardian Angel Prayer and 3" x 3" cotton lined jewelry gift box. Note: Sterling silver chain styles may vary due to availability.